I loveeee the cardigan! The patch detail is really eye-catching. Parah di bandung kayak udah 4 hari ujan gak berenti2, dan gw sekarang pilek + batuk + demam. Suram. Red lips look hot on you! YES! The repe-pe-pe-pe-peat part is sooo addicting. There are a lot of tasty § fruity sweetness in your tangerine top, the upper pretty § delicate way you flirt with it, infusing a vibe of Freshness on Boudoir territory I must add Dear ! Your so beautiful omg. lol Love the lipstick shade if you are wearing any! Lovely pictures. Love the rings and the lipstick! you look wonderful! but that song drives me completely bonkers. Love the rings and yours photos! that song is catchy indeed... i'm repe-pe-pe-peating it on my iphone all the time..
Never thought an orange-y lipstick would look good on a modern oriental gal, but you really rock it, girl! Love it! And I like it that you've been writing more about your thoughts like gratitude, etc. on your posts, not just pretty pictures! great photos! And i love the gold ring! the last picture is really gorgeouss !!! you look beautiful i love ur white sweater and lipstick! you have a pretty face :) thanks for dropping by my blog. im your follower now. You are so beautiful! 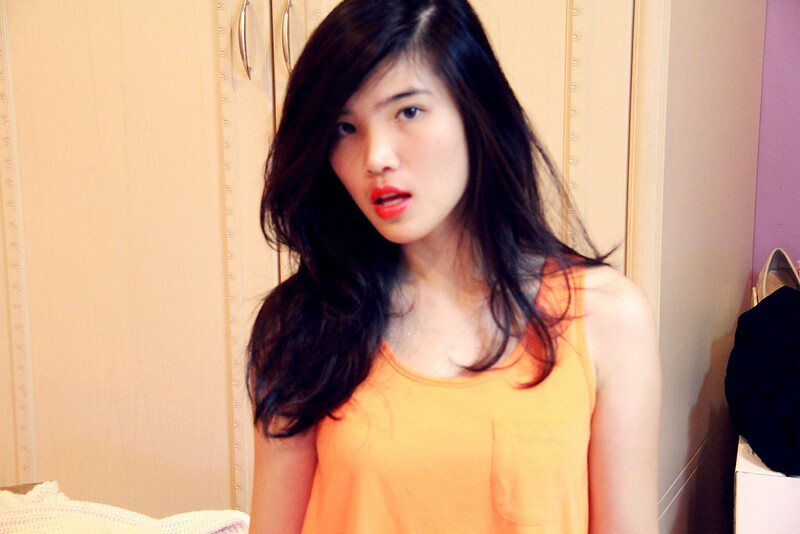 red orange lipstick has definitely been my favorite. These photo's are amazing! 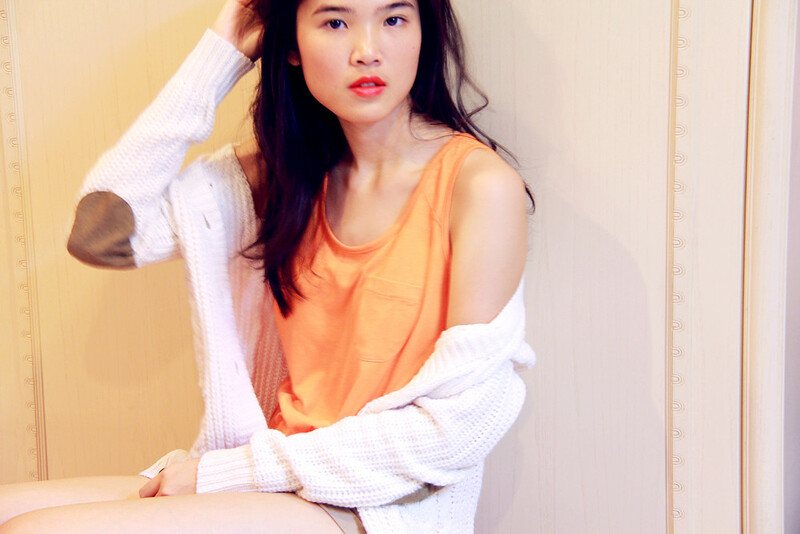 Orange is so your color!Bold, eye-catching and simply beautiful! Love No. 1! It seriously could go as a magazine cover!